In 2004, I obtained my Heavy Equipment Operatior Certificate. I have since operated a variety of equipment over the past 7 years. Responsible for all aspects of tire and related service and repair for off-the-road equipment (construction, earthmoving, mining, farming, etc.). Maintain In compliance with OSHA and MSHA regulations. Responsible for all aspects of tire and related service and repair for off-the-road equipment (construction, earthmoving, mining, farm, etc). Dismounted and mounted any type of off-the-road tire including multi-piece rims. Also to any required to service commercial truck, light truck and passenger tires. Determined repairable tire conditions and make such repairs. Mounted and safe Inflation of tires to prescribed PSI per load requirements. Operated of a 30,000 # GVW OTR Service Boom Truck. Operated of heavy duty tire service equipment and tools including boom cranes, cribbing, jacks, compressors, electric and hydraulic equipment. Executed of required billing documents. 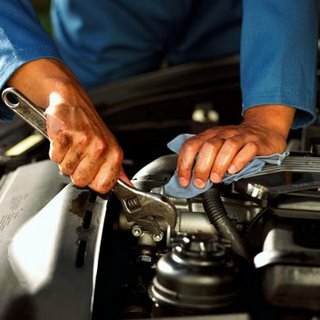 Proper maintenance of assigned service vehicle including appearance as well as on board service equipment and tools. Maintained compliance with OSHA and MSHA regulations and safety requirements pertaining to this position. Negotiations, safety and ergonomics consistently utilized in this position. *TIA Certification and Security Clarence for Airports. Position depended on team work to ensure accuracy and quality of various project. Vision and goal orientated in this position. Quality, quantity, safety, and teamwork were key players in this position. Experience in the safe loading and unloading of construction materials. Able to update and maintain accurate records of shipments, routes, and related costs. Previously held Hazmat & Tanker endorsements. Known for over 25 years. Home Improvements: Laminate Flooring Installation, Plumbing, Electrical, Lightening Fixtures (Installation/Replacement), Deck, Drywall, Cabinetry Installation, Bathroom Remodeling--Toilet Replacement, Tub Installation and Surround. Replace Doors and Screen Doors. Automatic and manual transportation vehicles: general maintenance (i.e. replacing spark plugs, wire, replace oil & filter). Pull and replace engine blocks. Complete rebuild of engine. Replace starter, lights, fuses, fluids, alternator, radiator, hoses, belts, etc. Light motorcycle work.